about 30 km from the great city Córdoba. 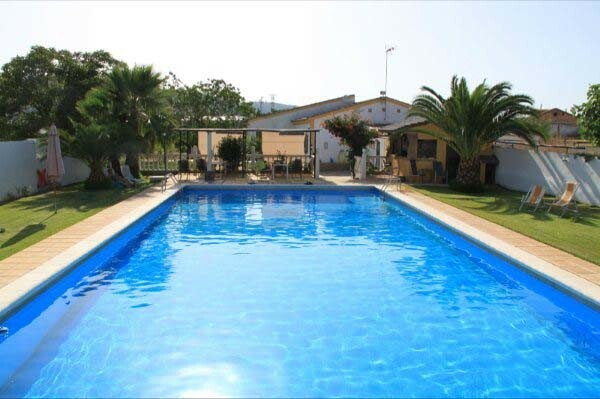 internet facilities and a huge garden with a swimming pool of 8 by 20 metres. served alongside the swimming pool. between 4-14 people and families with children. country-roads and other Andalusian properties. and lively town Almodóvar del Rio, about 8 km from Posadas. this area a paradise worth visiting. very fertile soil for the cultivation of fruits and vegetables. 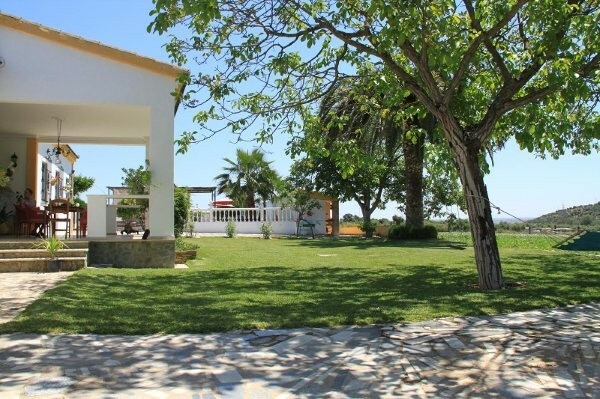 The farmhouse has been rebuild as a bed and breakfast, with 6 stylishly decorated double bedrooms and two single rooms. The accommodation is very convenient for individuals, groups between 4-14 people and families with children. A single room costs 37,50 euro (incl.tax)per night including breakfast. 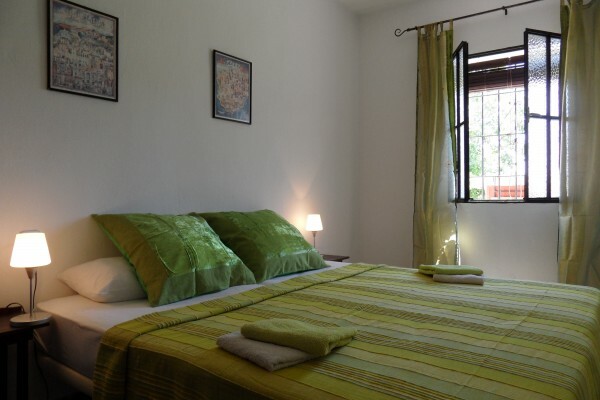 A double room as from 55,00euro (incl.tax)per night including breakfast. If you stay five nights, the sixth night is free. Heerlijk om even op adem te komen na een lange reis of citytrip. De huidig uitbating is uiterst charmant en slooft zich werkelijk uit om het de gasten aangenaam te maken. De kok van dienst is overigens uitstekend: niet onmiddellijk andalousiaanse keuken, maar niettemin voortreffelijk fijnzinnig. Did you stay in Finca El Juncal? Let us know what you thought about it and help others to make the right choice! * I confirm having stayed in Finca El Juncal. 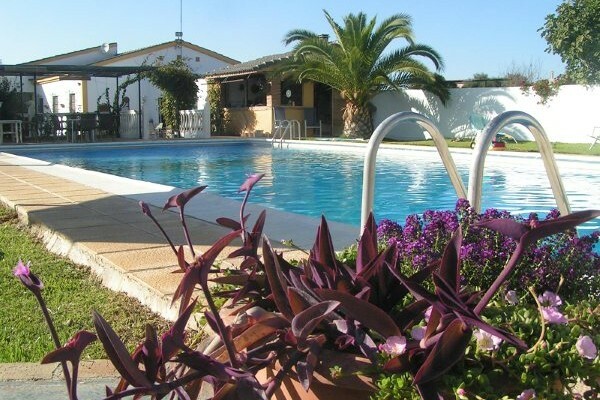 Find other bed & breakfasts in Córdoba or all bed & breakfasts in Andalusia.